A Chinese pastor was released yesterday (19 June), after being detained for two and a half years for “illegally possessing state secrets”, reports Christian Solidarity Worldwide (CSW). Pastor Yang Hua of Huoshi Church (which means Living Stone), in the south-western province of Guizhou, was arrested in December 2015. He was sentenced a year later, in January 2017. While in police custody he was threatened and tortured, according to his lawyers. While in prison Yang contracted diabetes and vasculitis and was unable to walk for a while. CSW said he was in need of urgent medical care. His colleague, Pastor Su Tianfu, was sentenced in May this year to one year in prison, suspended for two years, with a further six months’ residential surveillance, for “intentionally divulging state secrets”. In January this year, both men were also fined the equivalent of more than US$ 1million, after the money the church received in collections and offerings was deemed “illegal income”. They appealed their case but lost. The government then closed Huoshi Church and reportedly sold its meeting places to an investment group. While CSW welcomed the release of Pastor Hua, its chief executive Mervyn Thomas said “he should never have been convicted and sentenced in the first place”. “Pastor Yang Hua and Pastor Su Tianfu have been targeted for their leadership of Living Stone Church, an independent church which engaged in peaceful religious activities, served their community, and supported needy members of the congregation,” he said. Huoshi Church was previously raided by police in 2015 during the opening ceremony of its new venue, which was attended by hundreds of guests, including some foreigners. The church was forced to close, and Yang Hua was arrested. 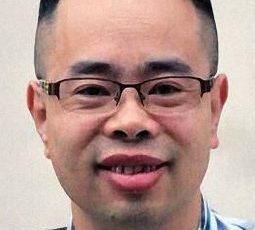 A church deacon, Zhang Xiuhong, was also detained for more than two years before his release in August 2017. Before the church was forced to close, it had some 700 members, from a variety of backgrounds –from students and bankers, to government officials and rights activists – who met at three different locations and were also involved with community projects, according to the UK-based charity Release International. A local source told World Watch Monitor that the government specifically targets ‘high-profile’ churches that attract large crowds, such as Huoshi, in particular in sensitive areas where there are minority groups or if they often have contact with overseas groups. Since the implementation of new regulations on religion in February, pressure on China’s Christians and churches has increased. According to a local source, “it seems that local authorities are pressurised to enforce the religious regulations to a certain extent, to at least take some action”. Churches that hold meetings in commercial buildings “are targeted and the authorities close the church venues. Also, more landlords refuse to continue rental contracts with churches. Hence, these local churches are forced to return to house meetings”, the source said.